The growth of IoT into nearly every business space — from medical devices and healthcare IoT applications to industrial “IIoT” use cases — is amazing to behold. In this series on the range of applications for the Internet of Things, we share examples that illustrate how IoT products and services are being deployed around the globe, by industry. The healthcare industry is rapidly adopting Internet of Things technologies in everything from wearables to patient monitoring, in order to improve accuracy, promote efficiency, reduce costs and enhance health and safety. Digi solutions support development of a broad range of products in this space. Let’s take a tour of a few IoT customer case studies that help to demonstrate the breadth of possibilities for IoT applications in healthcare. You can find more examples of applications for a range of industries in the Customer Stories section of the Digi site. 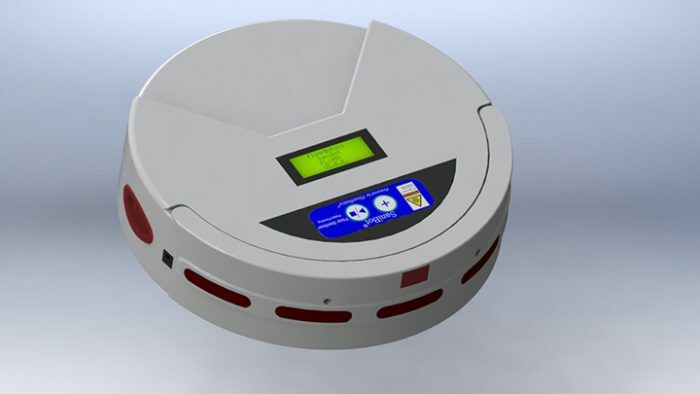 FloorBotics, a robotic software and hardware development company, develops innovative solutions in response to the market demand for cost-effective alternatives to labor-intensive and non-sterile cleaning methodologies. 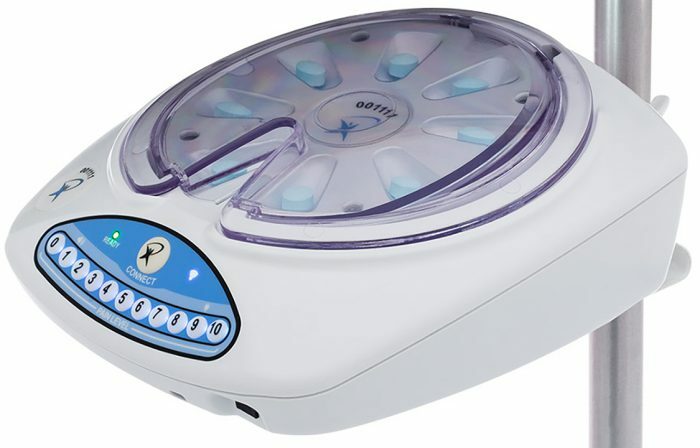 Their products include a line of set-and-forget robotic cleaners designed to combat hospital-acquired infections (HAIs). The FloorBotics “Sanibot™” robot shines a controlled beam of ultraviolet light to disinfect the floor surface, providing a highly effective floor sanitation solution that is constantly at work. 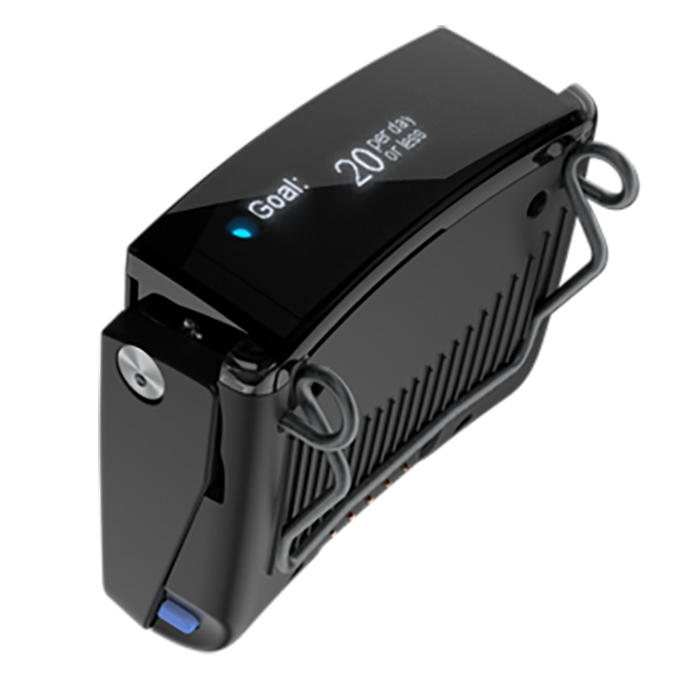 The robot design includes the Digi XBee® Cellular LTE CAT 1 modem, which combines 4G connectivity, built-in security, and a bundled cellular data plan in each pre-provisioned development kit. This enables the devices to communicate over the cellular network right out of the box. Digi XBee Cellular modems are also bundled together with Digi Remote Manager® software that enables FloorBotics’ customers to remotely monitor and manage Sanibot™ robots and also provide over-the-air (OTA) remote firmware upgrades. “When you deploy a fleet of these devices, you need a way to centrally manage and monitor their status and progress,” said Duncan Ashworth, FloorBotics founder. Hospitals and clinics would seem to be the most hygienic places, but with the revolving door of patients and conditions, preventing the spread of bacteria and infectious diseases is an ongoing challenge. Recognizing this problem, Clean Hands Safe Hands sought to help healthcare institutions promote health and safety using wireless technology. The Clean Hands Safe Hands product design uses wireless communication, via Bluetooth, in sanitizing stations. The stations are sensor-activated and provide staff with sanitation reminders. The sensors uniquely identify each employee and record hand hygiene events throughout the health system. As staff members enter or exit rooms, they have a specific amount of time to sanitize before the sensor records the event. The sensors are connected using Digi XBee® Gateways which incorporate Zigbee mesh technology. Because the sanitizing stations are connected by a mesh network, they maintain collective data. This helps to avoid unnecessary reminders for professionals who just used another hand sanitizer in a nearby location. Healthcare today is not just about treatment. And it’s not just about care in hospitals and clinics. There is a growing belief in the adage that “prevention is the best medicine.” Business leaders are increasingly promoting healthy habits to improve worker health and safety. These practices, in turn, can save companies enormous amounts annually in lost productivity and worker compensation due to injuries. The Kinetic company developed a workplace wearable called REFLEX™ to improve worker safety through biofeedback. Designed for businesses whose employees perform workplace tasks that involve bending, twisting, and lifting, REFLEX is an ultra-compact device about the size of a small mobile phone. As the worker bends, the device provides feedback in the form of a light vibration if the employee performs any improper lifting or twisting that could lead to injury. At the end of the shift, the employee and supervisor can review the progress on a dashboard that collects data throughout the day. Supply chain companies and manufacturing facilities that adopt the technology see a dramatic reduction in unsafe movements — in one case, down from 320 poor movements per day to just 12. The REFLEX incorporates sensors and the powerful, stamp-sized Digi ConnectCore® 6 single board computer (SBC), which includes pre-certified Bluetooth 4.0 and Wi-Fi integration, cellular connectivity options, and Gigabit Ethernet support in a high-performance, energy efficient module. “Digi ConnectCore is very small and power-efficient, so it fits nicely in our device,” said Aditya Bansal, Kinetic’s co-founder and CTO. “And it’s well suited to the rugged environments where we’re deployed. >>> Watch the Kinetic video. Monitoring and managing medications, ensuring that patients dose correctly and on schedule is an ongoing challenge in clinics, hospitals and care facilities. An additional problem is the challenge on the part of busy care staff to quickly respond to every patient need. With these challenges in mind, Avancen developed an IoT solution for healthcare that accurately and quickly dispenses pain medication in a PRN delivery method. PRN, which stands for the Latin “pro re nata,” means “as needed,” or as circumstances require. The product is called Medication On Demand (MOD®), and is the first patient-controlled analgesic (PCA) device that empowers patients to administer their own PRN oral pain medication. While Avancen’s MOD device puts the control in the hands of the patient, it comes with complete security and clinical control to prevent security breaches or overdoses. The patient waves an RFID wrist band in front of the locked, pre-programmed device to dispense the correct dose of pain medication as part of the prescribed treatment plan. The technology behind the device is a Digi embedded module, the RCM6600W MiniCore in Digi’s Embedded Systems line of products.The new Digi ConnectCore® line of System-on-Modules is an ideal choice for new designs that require high performance processing, superior security and rapid time to market. Medical imaging is a large market that continually evolves with technology advances, and there are many applications. One use case many of us may not be aware of is the need for accurate wound measurement. This is a concern with fresh wounds, in terms of assessing severity, as well as wounds that are progressing through the healing process. 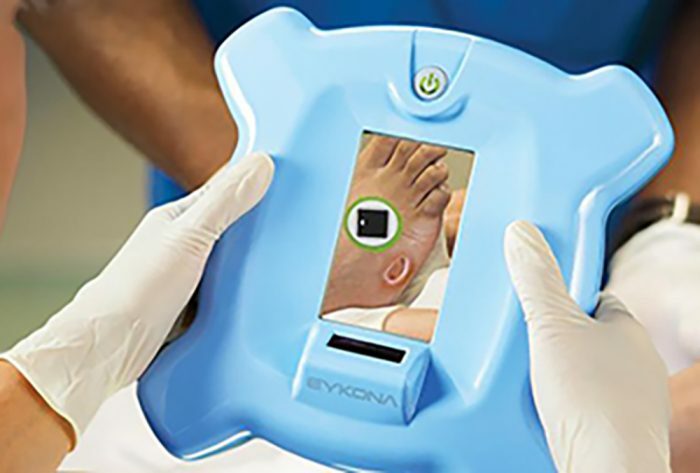 Eykona, a UK-based medical imaging company, developed a Wound Measurement System to meet this challenge. The system uses cameras and 3D imaging to photograph, measure and map wound progression over time. By observing changes in volume and tissue structure, clinicians can evaluate wounds and the effectiveness of treatment. The product was built on the Digi ConnectCore® Wi-i.MX51, a system-on-module (SoM) solution based on the NXP/Freescale i.MX51 application processor. By using a precise measurement system, healthcare providers can ensure they are not only identifying the severity of wounds, but that they administer the right care and treatment based on an accurate assessment. >> Stay in touch! Sign up for our newsletter to keep up with the latest from Digi. Need guidance in the design, sourcing and certification of your IoT product? Contact the Digi IoT experts to get your questions answered.